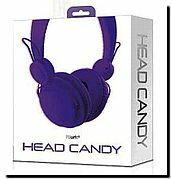 iWorld headphones are high-caliber stereo monitors for all iPod/iPhone/iPad/Android models and MP3 digital audio players. Detailed sound reproduction and powerful bass response amalgamate into a brilliant soundstage. The cushioned ultra-soft ear pads ensure that performance and style are enjoyed in comfort.